International Author, Prenatal Yoga Specialist and Birth Doula Julia Piazza provides a Complete Prenatal Yoga and Birth Preparation Guide for expecting women and their partners. "I am thrilled to see Julia's words of wisdom in this gift of a book for childbearing families. She has drawn on ancient traditions and her personal and professional experiences to create a rich guide for health and life. The book prompts women to nourish themselves, and therefore their families, with simple but effective activities including writing prompts and yoga poses organized by trimester." -Jenna Shaw-Battista PhD, RN, NP, CNM, FACNM Birth Wisdom Yoga Remedies and Journal will provide you with a map for your pregnancy. In this guided journey, a complete 60- minute prenatal yoga class flow and 30-minute prenatal yoga class flow are included, with over 35 beautiful photos of poses and modifications for the beginning and advanced yoga practitioner. The proper modifications and benefits of each pose are completely explained to keep you and your baby safe, while also preparing you for the “marathon of childbirth.” Each trimester of pregnancy and yoga is explained with the common pregnancy ailments and their yoga remedies. The eight Birth Wisdoms are Julia's distinguishing feature of her work: a collection of wisdoms and experiences shared with her over the years of serving women and their families in the labor and birth room. 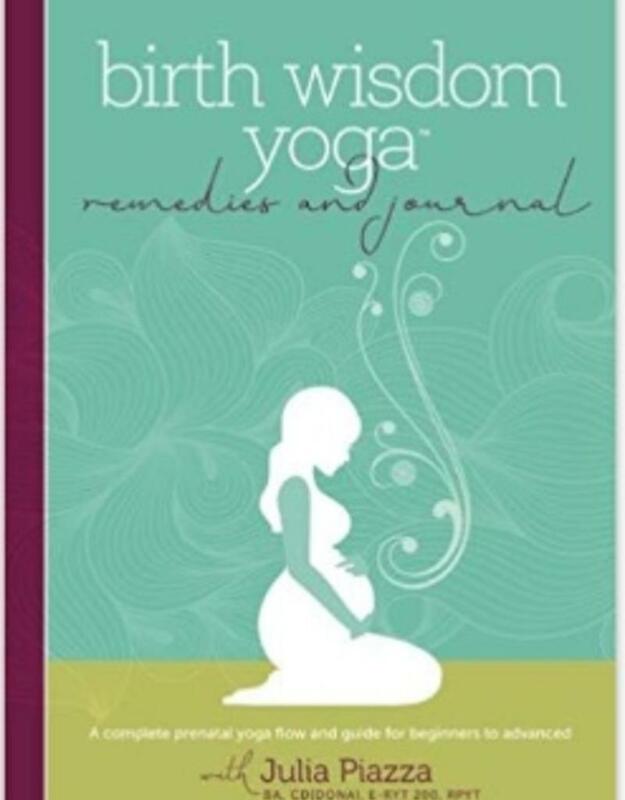 Included within each Birth Wisdom are meditations and affirmations, along with breathing and softening techniques that will help you find your focal point during labor and childbirth. The book is organized so you can add weekly yoga poses to your practice over the course of your pregnancy, preparing you to "own your strength and power" in labor and childbirth. At the end of each week of pregnancy, there are two full journal pages with journal prompts to prepare you mentally for childbirth. Additional space is included for insights, questions, notes to your baby, photos of ultrasound scans and special mementos. You will have plenty of space to create a keepsake book to save and cherish. A special Labor and Delivery section includes Birth Wisdom Yoga Poses for Labor and Childbirth with special excerpts for the birth partner from Julia's Birth Partner and “Dudela” training workshops. Guidelines for peacefully advocating for mom and baby in the birthing room are included as well. The book concludes with a comprehensive list of affirmations to take with you to use in labor and childbirth. 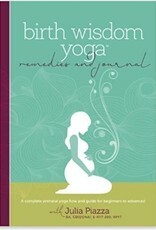 Birth Wisdom Yoga Remedies and Journal has become an invaluable tool and trusted handbook for yoga teachers looking to support pregnant women in their yoga classes. Birth Professionals have found it is also an excellent guide for prenatal "check-ins" with their patients for reflection and preparation for childbirth.